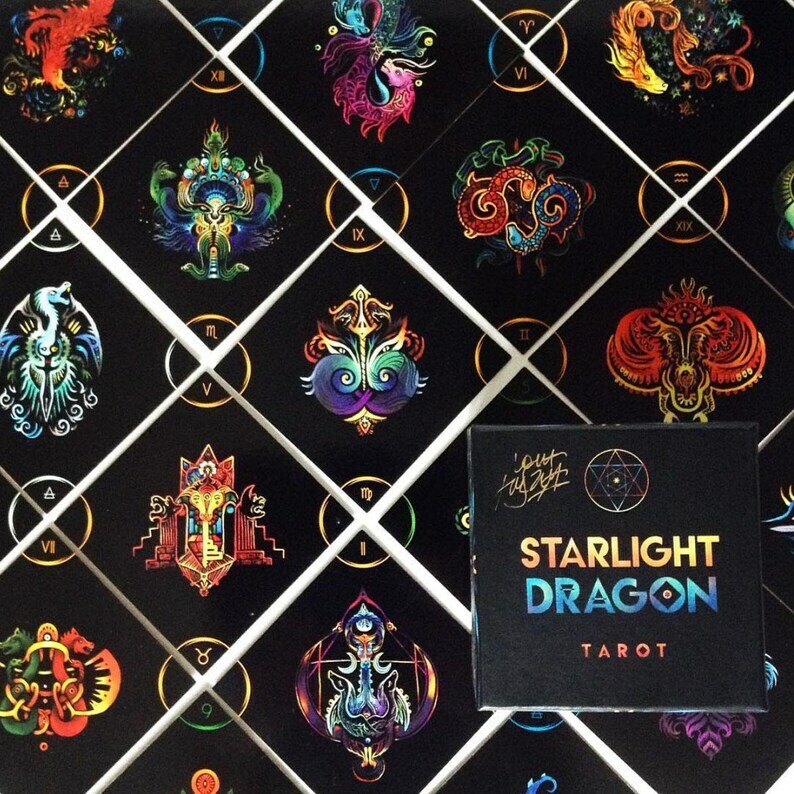 Meet the Starlight Dragon Tarot, a deck of 79 mesmerizing cards inspired by dragons – the vision of Steph Engert and Nora Huszka. 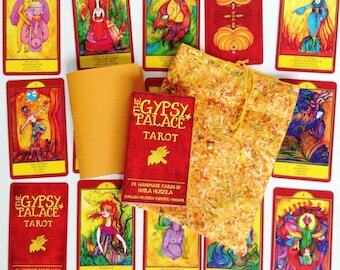 Open this treasure box abounding in art, poems and wisdom – our innovative tarot set, to enrich your life and magickal work. Allow yourself to be spell-bound by our mythic dragons – mighty, awe-inspiring and yet soul guides and companions of humans. We have captured their unfathomable wonder and creative energy in vibrant surreal images. 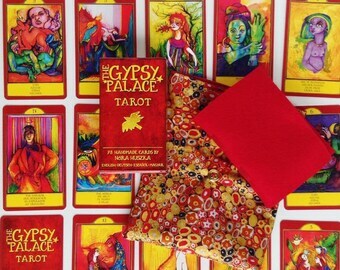 Discover also the innovative features of our cards like their unique format, enabling completely new methods of card readings. Tarot, medium of the oracular arts and magick is the perfect “scene” for our dragons: a special „place“ for the encounter of dragon and human, in which stories of destiny and will are unwrapping, with their challenges and victories, redemption, growth and, finally, the “return home”. 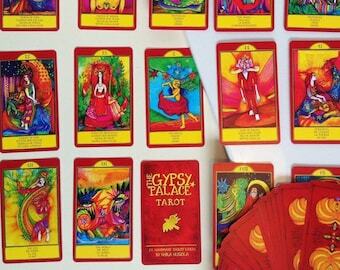 Looking for magickal Talismans with the images of this artistic deck? Beautiful deck, really good quality. Quick delivery. Words do not convey how this deck has elevated my Tarot readings. The art itself offers a new relationship, a new peering into Tarot realm, yet the magick of how they like to be patterned in a specific way to offer new symbolism and meaning to the message is a delight I look forward to daily. The box was a little crushed during shipment, but it still remains a great case to hold the cards, which are easy to shuffle, and I love the thickness of them. The Starlight Dragon Tarot is a masterpiece and thank you for creating them! I don't know how to describle these cards except gorgeous and perfect. If you are unhappy with your purchase, contact me first before making a negative comment on our feedback. It is very important for me that my customers are always satisfied, so please give me the chance to communicate and correct if it is needed. International secured shipping, with tracking number available.